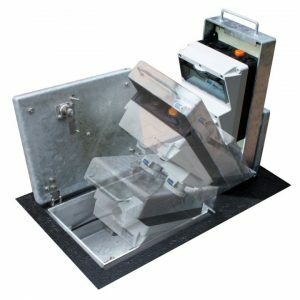 ➡ View below our complete range of Feeder Pillars including the Fortress range manufactured by Lucy Zodion. 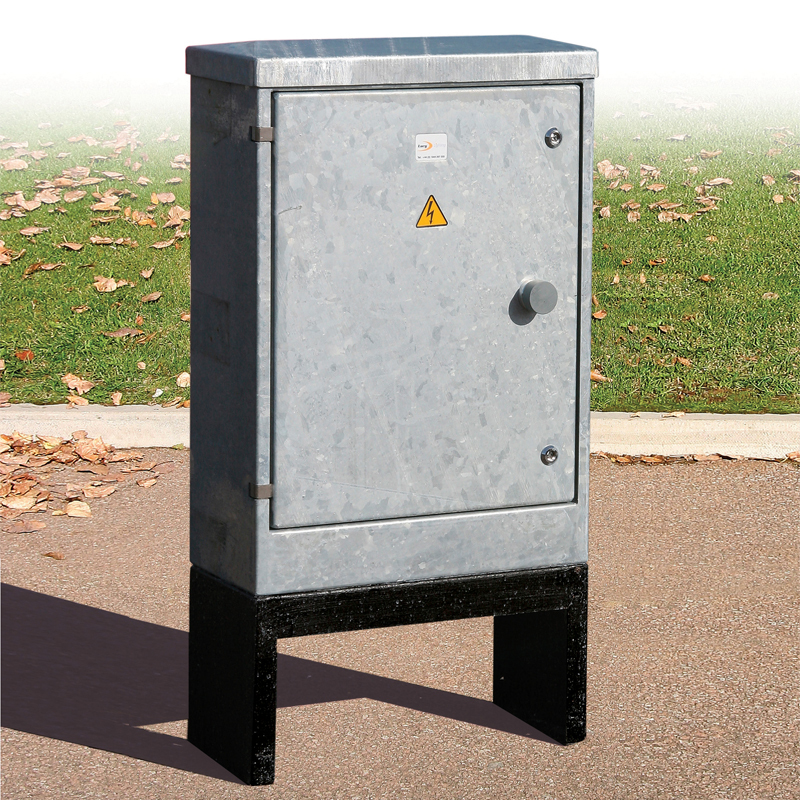 The Lucy Zodion range of feeder pillar enclosures and cabinets are robust, durable and secure providing weatherproof and padlockable vandal resistant protection for external power distribution applications. 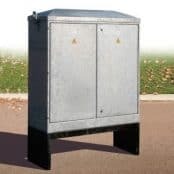 Feeder pillars are available as standard empty enclosures or custom manufactured low voltage pre-wired electrical distribution equipment consisting of a robust galvanised steel pillar with vandal resistant lockable doors housing LV electrical switchgear and control systems. Electrical power supply is provided to the feeder pillar from the end-users private distribution network or via a DNO cut-out. Specialist application feeder pillars include retractable power distribution, DNO network service, customised and engineered fused electrical pillars. 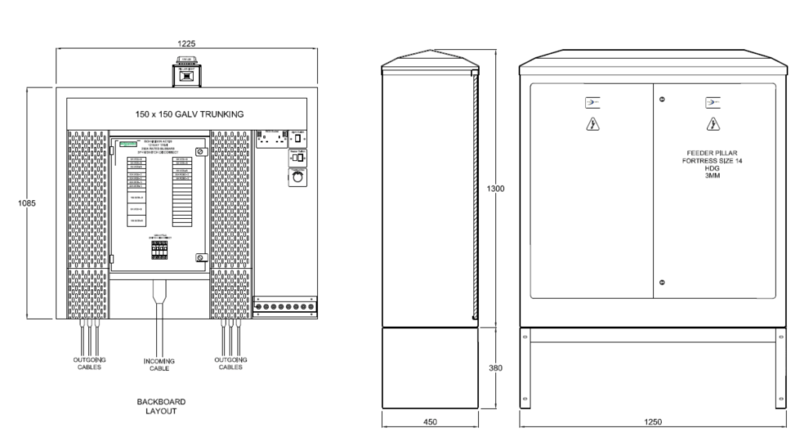 Bespoke solutions delivered complete with switchgear, control and internal equipment contained in the enclosure can be manufactured by our Engineering Design Team to suit your specific project requirement. Contact our technical sales department or complete our online feeder pillar design form. T&D supply both standard and bespoke feeder pillars in a selection of materials, paint finishes and dimensions to meet all indoor and exterior power distribution, control and lighting requirements up to 1,000 volts with IP65 door seal – this includes LV substation and network pillars with DNO supply cut-outs for utility applications. The wide range of Lucy Zodion pillars include mini, slimline, single-door and double-door types available in galvanised mild and stainless steel. 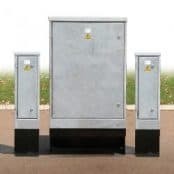 Feeder pillars provide LV electrical power connections for single units to larger complex developments in residential and commercial sectors with small pillars for unmetered electricity supply including isolation unit, cable earthing blocks and CET gland to suit armoured cables (SWA) – larger metering pillars can be designed ready to install on site or supplied as empty enclosures for building and modifying by the contractor. 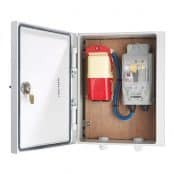 Single or 3 phase pillars with individual or group switching and fusegear options (RCBO, RCD, MCB) provide safety and reliability of power supply up to 1600amp current with high security vandal resistant locks. 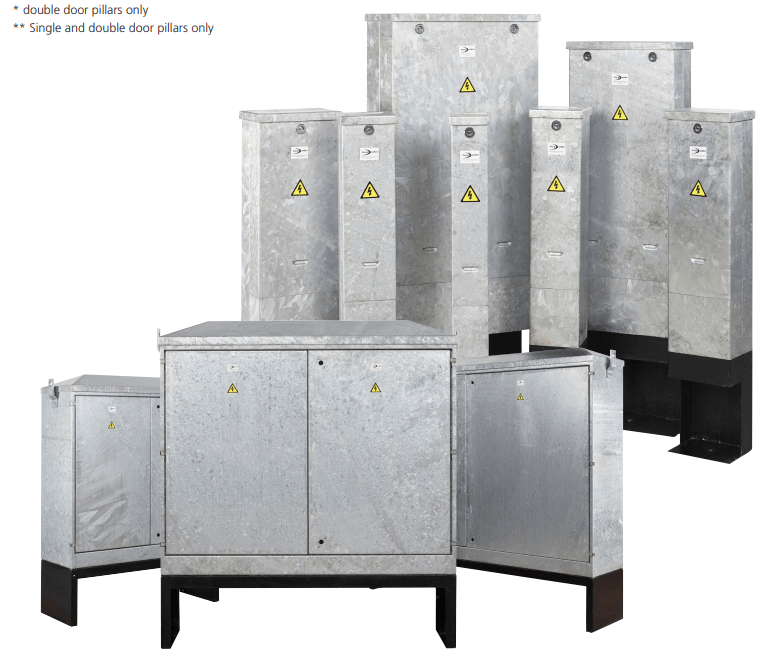 LV pillars or free standing panel boards are supplied to the M&E building services, utility substation, rail, renewable energy and hazardous area industries. 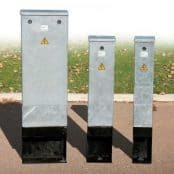 Highways pillars are typically used for traffic signals, CCTV, motorway communications, telecommunications and street lighting power, control and distribution. Here is a working example of a customised distribution pillar designed by Lucy Zodion working with Thorne & Derrick and the NHS (National Health Service) Trust in the UK – with IP65 protection for outdoor installation into concrete foundations the single and double door feeder pillars are designed to accept and terminate multi-core 3 & 4 core XLPE SWA LSF (or PVC) cables according to BS5467/BS6724. 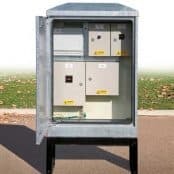 The low voltage electrical supply provided by the feeder pillar cabinets will enable the power distribution from the main LV switch panels and substations to the site electrical infrastructure. Here we have a further example of an pre-wired feeder pillar designed to provide electrical services (LVAC) for a new train care facility for Transpennine Express – the feeder pillar for outdoor location with IP65 ingress protection is constructed from 3mm thick galvanised steel with a detachable root section finished with coating of bitumen enriched paint. 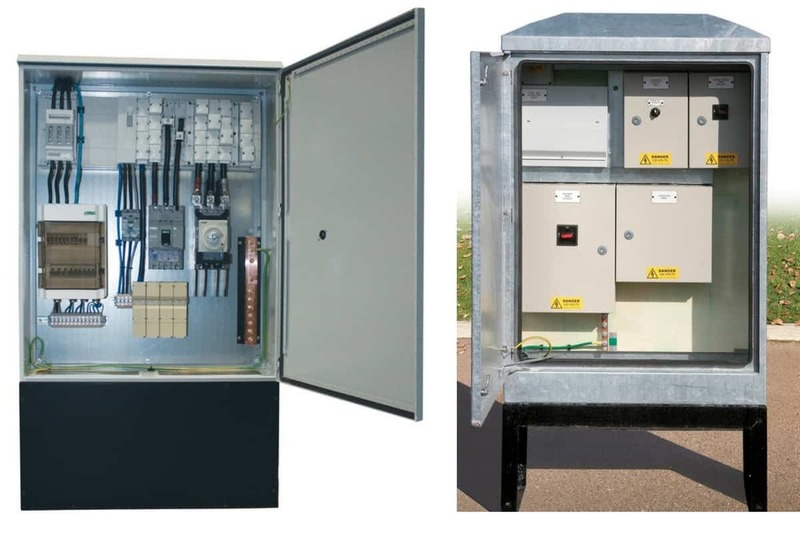 The backboard layout (treated exterior grade plywood) accommodates the 250A rated busbars with 3P+N switch disconnect and galvanised trunking to contain the incoming and outgoing armoured cables (BS5467 660V/1000V). Pictured: Feeder Pillar Distribution Cabinet – here a size 30 (F30) pillar from the Lucy Fortress range (30/HDG/3) is shown with internal equipment (315A MEM Fuse Switch Disconnect) which would be mounted to an 18mm treated exterior grade plywood backboard – optional accessories including pillar heater, light, photocell and timed keyswitch. 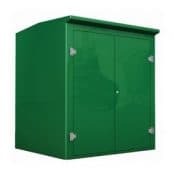 The feeder pillars are double-door constructed using 3mm thick galvanised steel and two tri-head door locks for anti vandal protection – the pillar root section is detachable and finished with corrosion resistant bitumen enriched paint. The Fortress range of feeder pillars manufactured by Lucy Zodion feature several innovative features with pillars available in a range of sizes (28), materials (galvanised steel, stainless steel, cast iron) and finishes with complete range of RAL colour options. To prevent corrosion additional paint finishes (RAL and Highways G2A) are available with anti-vandal lock variants. The detachable feeder pillar roof enables replacement of the pillar backboard quick and simple by the electrical engineer and suitable to accommodate future power expansion of low voltage electricity distribution. 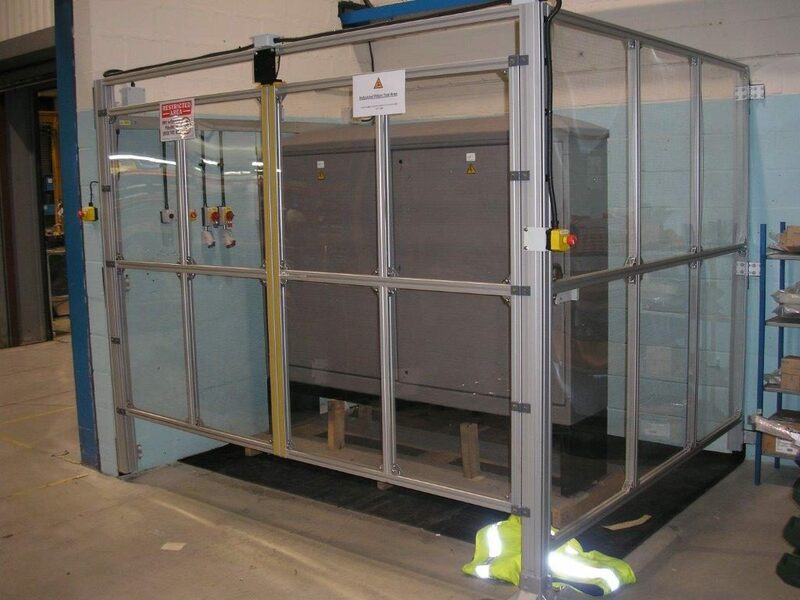 Enclosure ventilation can be controlled by the installation of anti-condensation heaters. Westminster Feeder Pillars – Temporary Power Supply from the retractable pillar which is fully operational in 60 seconds and can be locked and folded flat, flush and discreetly when not in service. Lucy Zodion innovative in-ground Feeder Pillar features several functional benefits in an extremely robust structure. 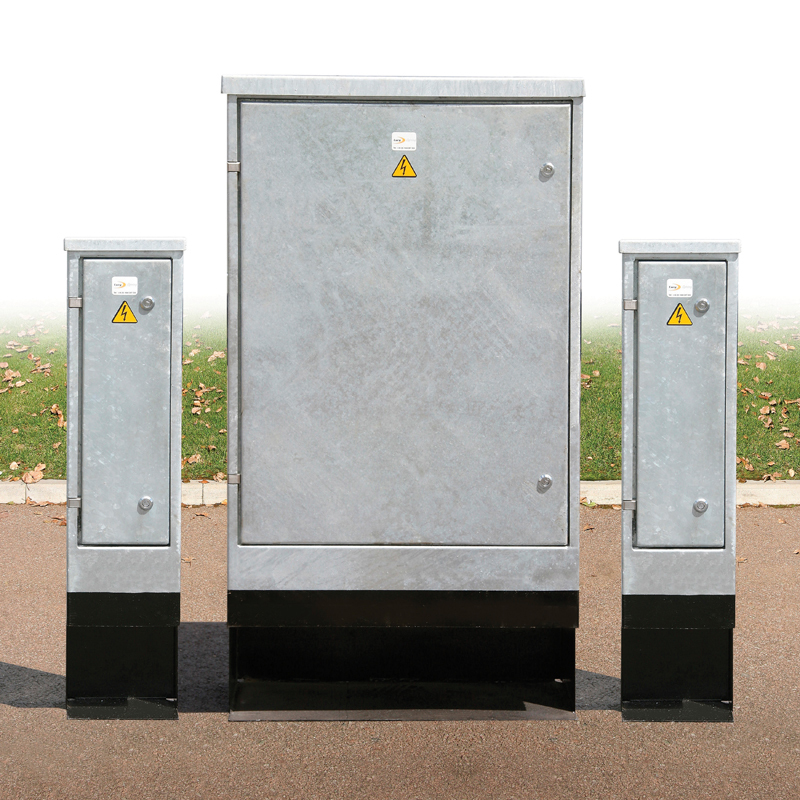 Power is accessible and readily available from the ground to socket in seconds and, once completely erected, the pillar tower is secure for prolonged outdoor use with an IP67 rating and galvanised steel outer protective casing. 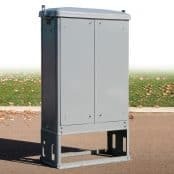 When not required, the power pillar tower is simply folded away and discreetly secured in-ground with lock and key fastening. 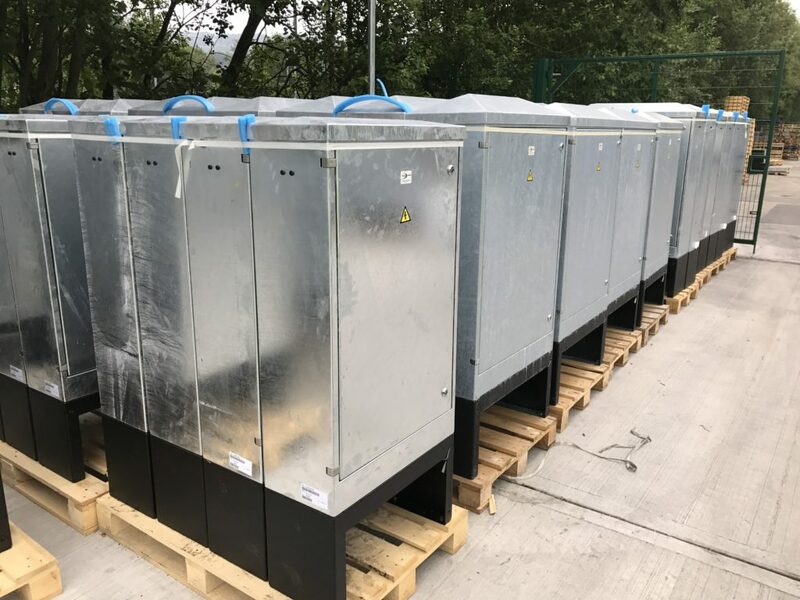 The Westminster range can be equipped with earth leakage and overload protection devices to ensure high operator safety levels and is therefore ideal for supplying temporary power to markets, shopping centres and airports. Versatile– the feeder pillar is suitable for use in a number of environments to meet various requirements, Westminster can not only provide power but data and metering information (optional extras). Discreet – with a 50mm recess in the lid of every feeder pillar for surface matching, all products in the Westminster range discreetly blend into their surrounding environment with a flush top surface. This ensures sympathetic design, aiding city planning and assisting public access when not in use. Robust – made from galvanised steel with stainless steel lock and hinges, the Westminster range of feeder pillars are manufactured and tested in accordance with BS7671 and BSEN 61439 with IP67 rating. Safe – the flush top surface and adaptability for earth leakage ensures the Westminster range suitable for use in public environments. The following tables provide an overview of the complete ranges of Lucy Zodion Fortress feeder pillars – should you require technical support or customer service please do not hesitate to contact our Sales Team. 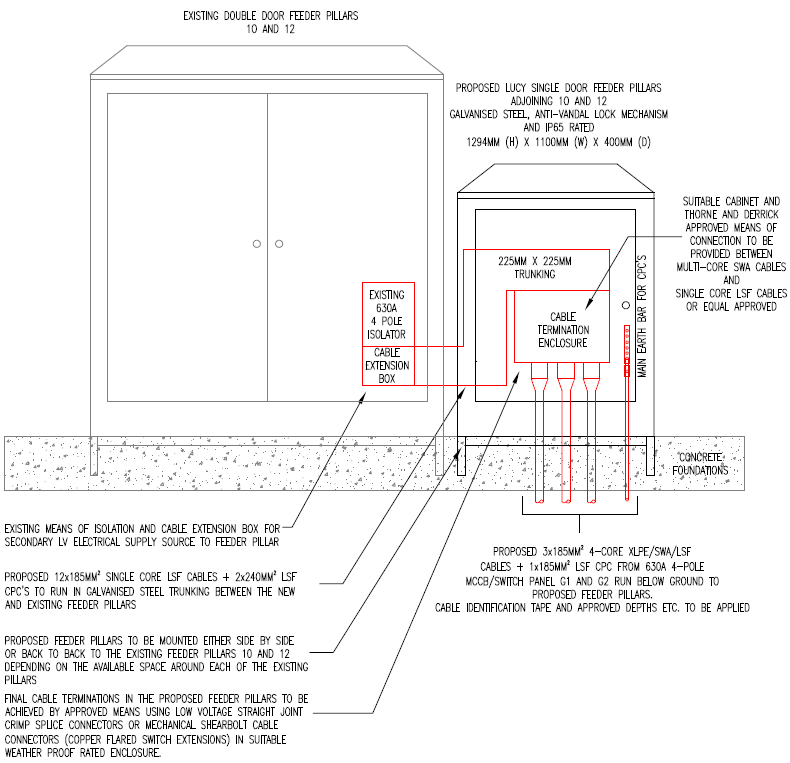 Shown here is a typical electrical distribution pillar assembled to provide low voltage power to an Electrical Vehicle (EV) Charger – the 3 phase pillar is powered by the incoming DNO supply cable and connected via the cut-out and outgoing to the charger point via underground cable duct. All internal conductive components are bonded to earth and suitably rated RCD and MCB installed to protect the circuit during abnormal over load or fault conditions. Note, due to the presence of mains voltage electrical supply only qualified personnel should work on this type of equipment and wear appropriate PPE including arc flash protection clothing. The Lucy Zodion range of feeder pillars are tested in-house prior to despatch to ensure their pre-wired powered pillars are in working order in accordance with the clients specification and requirements. 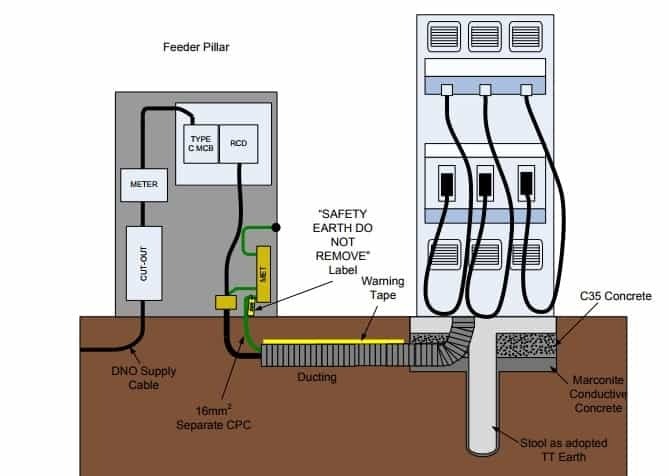 Note: All feeder pillars may contain accessible live electrical equipment or parts even when the Lucy Zodion pillars are de-energised or disconnected – these can include DNO power supply and secondary power supply (generator or UPS).